ABSTRACT: Dispersal is a fundamental process that shapes the distributions of many plants and animals. Dispersal does not always result in ongoing gene flow among populations, but is critical for initial colonisation events, particularly following large-scale disturbances such as those resulting from climate change, earthquakes and volcanic eruptions. In this talk I will give an overview of how dispersal and disturbance interact to structure spatial patterns of biodiversity. I will focus on examples from my biogeographic research on diverse Southern Hemisphere systems including shallow-water marine communities (especially seaweeds and associated invertebrates) in the sub-Antarctic, New Zealand intertidal ecosystems affected by last year’s earthquakes, and mosses and invertebrates on volcanoes in Antarctica. BIO: Crid Fraser is a biologist / phylogeographer at the Australian National University, and is broadly interested in the influence of environmental conditions, including past and future environmental change, on global patterns of biodiversity. 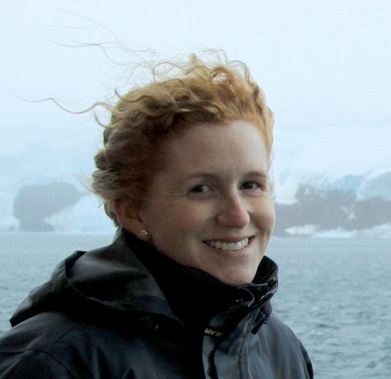 She uses a wide range of techniques to address research questions, including ecological and genetic approaches, and has a particular focus on the high-latitude ecosystems of the Southern Hemisphere (the sub-Antarctic islands and Antarctica). She is the current ACT Scientist of the Year. Appointments with guest speaker may be made via Alecia.Bellgrove.